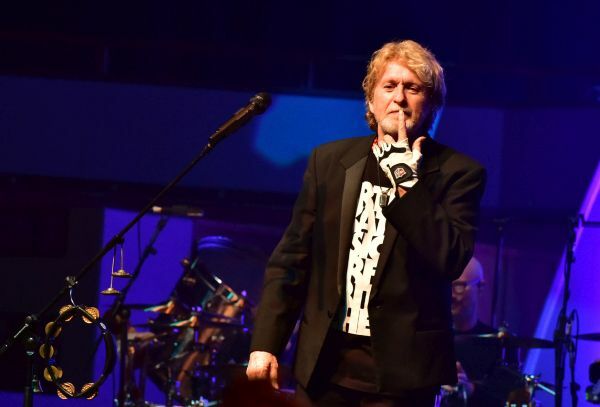 Yes (in the line-up Howe, White, Downes, Sherwood, Davison) have been and still are touring the world without a single original founding member whilst co-founder Jon Anderson successfully recovered from his health issues. Anderson subsequently teamed up with Jean Luc Ponty and made an album with Roine Stolt flower Kings) so I must admit this line up playing the music of Yes was what I expected least. 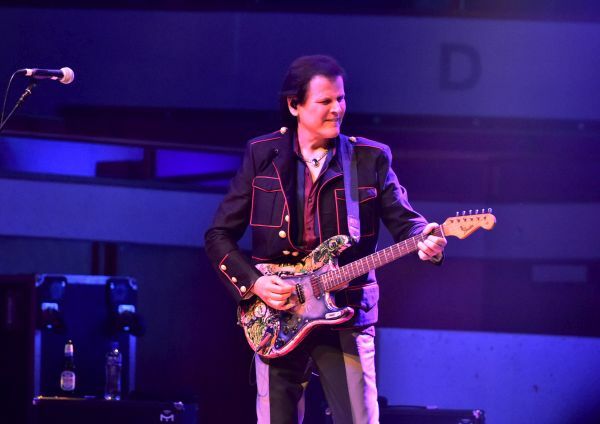 Trevor Rabin has been working on music for movies for quite some time now and his last solo effort Jacaranda dates back five years. 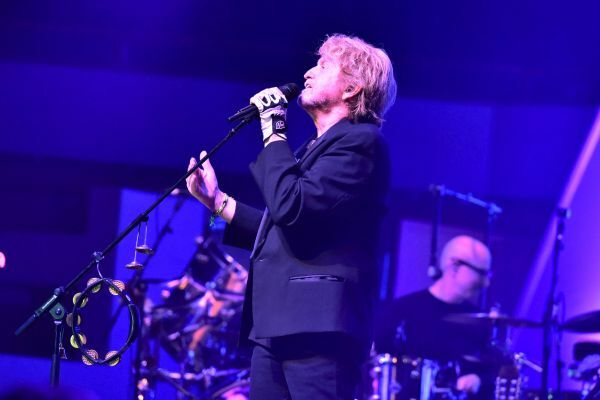 While the European leg of the tour has been promoted as "ARW playing the music of Yes And More" the website now states that the second leg of the tour in the US will be billed as Yes featuring Jon Anderson, Trevor Rabin, Rick Wakeman. As Anderson explains: "It's very simple, the fans want it, we want it and it's our right to use the name. YES music is in our DNA!" With Squire sadly out of the equation in my opinion Anderson is the one foremost entitled to use the name Yes. For this tour the trio managed to enlist drummer Louis Molino III and no one less than Lee Pomeroy on the bass. 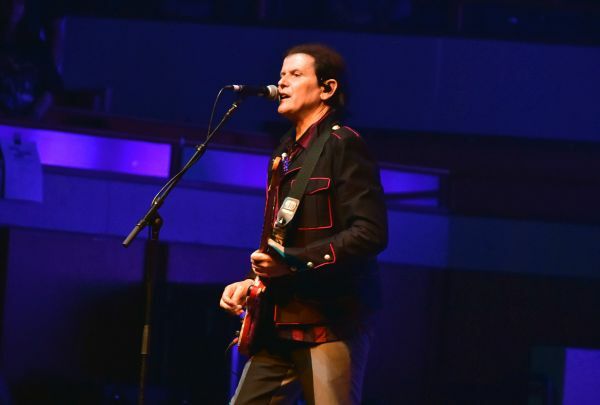 A sold out Vredenburg was eagerly waiting for the legendary musicians to appear on stage and when they came on, an ovation filled the hall. Anderson, modest as always, was impressed and touched by this warm welcome. 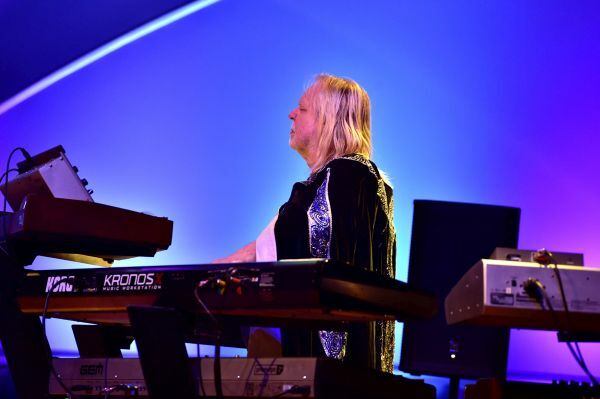 When I saw Rick Wakeman I began to worry a little because he put on a lot of weight and wasn't moving around too much. Because he started playing with his eyes closed I began to think he wouldn't last the evening. The illustrious cape apparently transformed him because as soon as the band began to play Rick proved me wrong: although his stage performance was nowhere near the eclectic performances of the old days, his playing abilities were nothing less than spectacular. Rick probably did have to learn some of the songs from scratch because in the line ups of Yes in which he was part of, Yes never played many of the Rabin-songs with the exception of Owner Of A Lonely Heart. Before the band went on to perform some of the really classic Yes songs the opener Cinema and third song Hold On paid tribute to Trevor Rabin who had been the Yes guitarist from 90125 until Talk, so just about ten years. Jon Anderson may have sounded really hoarse when he was speaking, his singing was absolutely stunning: though maybe a little more mellow but 100% in tune so indeed the only true voice of Yes! After the classics Perpetual Change and I've Seen All Good People there was a drum solo by Molino, an element in the show I could have done without. Then a few more Rabin songs, intermitted by one of my personal favourites: And You And I. 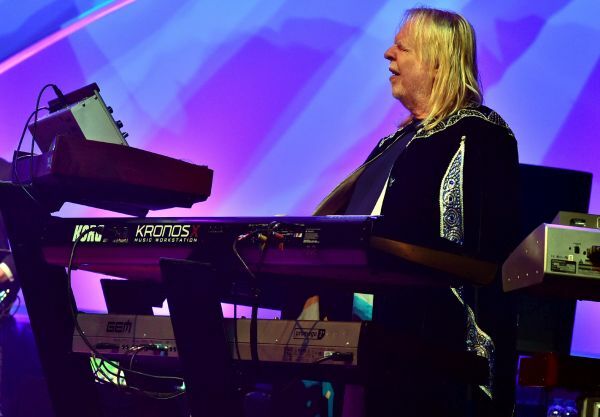 Although I somewhat missed the mighty 'Taurus pedals' there's no one else playing this song better than Mr. Rick Wakeman! The last one of this section of Rabin songs was another hit in the eighties: Rhythm of Love in which Rabin not only proved he could play some mean guitar but that his vocal chords still were well in shape too. Two absolutely gorgeous renditions of Heart Of The Sunrise and Long Distance Runaround (Fragile) were intermitted by one of the best Rabin/Squire compositions: Changes. Although I could imagine Jon Anderson could have some mixed feelings about his old buddy the late Chris Squire, he mentioned him as a long-time friend who he been sharing 35 years with: half a lifetime so he stated. 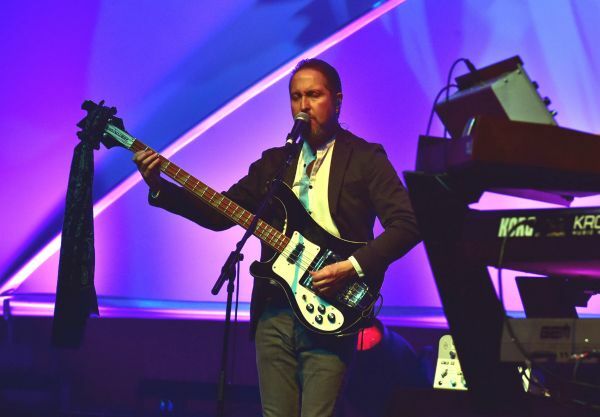 ARW honoured their former bandmate by playing The Fish followed by an extensive bass solo by Lee Pomeroy in which he showed his awesome talents and touched on some other bass lines from several songs formerly played by Squire. 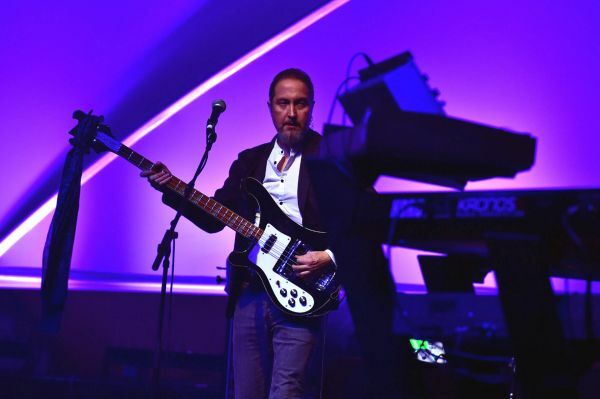 Lee played a Rickenbacker to mimic the sound of the old line up of Yes but the only point of criticism about this show I possibly could make is that in my opinion the bass guitar should have been a little louder than it was on this night in Utrecht. 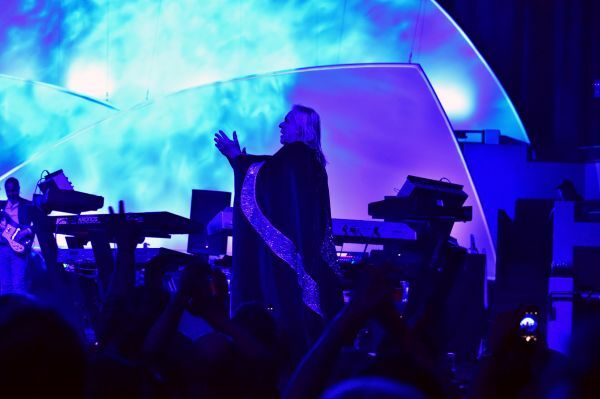 Great enthusiasm within the audience when ARW played a really true epic track: Awaken, beautifully performed by Wakeman. 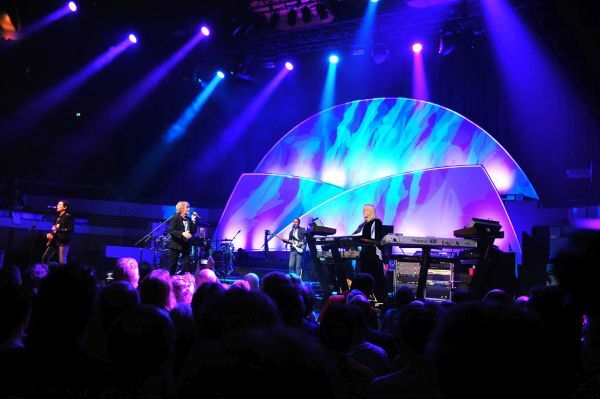 Nice show element was the both Rabin and Wakeman (with his keytar) moved off the stage and went up the stairs in the venue between all their fans and they met in the middle (were the PA was at) before returning to their usual spots on the stage again. Of course Yes' biggest hit Owner of a Lonely Heart was to be the closing chapter of the show but then again, there's only one real grand finale according to Yes standards and that would be Roundabout and so it was. After well over two hours playing a great night had come to an end. A nice subtle tribute was paid to the illustrious band The Cream by including a snippet of Sunshine Of Your Love in the intro for Roundabout. 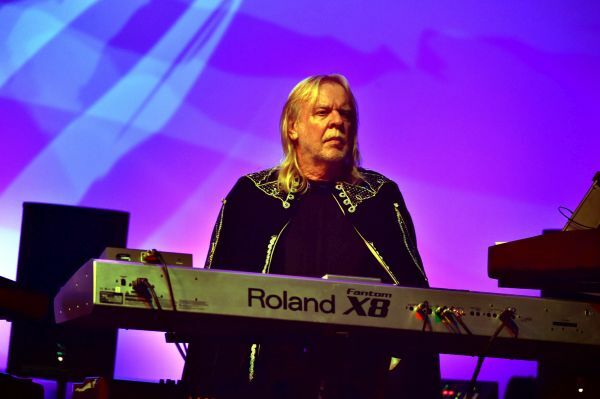 The outro was Rick Wakeman's homage to David Bowie, the instrumental version of Life On Mars. ARW will be playing two more concerts in Europe: the first in Poland on July 13th and the last one at the Night Of The Prog (Loreley, Koblenz Germany) so if you want to catch these legends live, be there on July 15!